In the early 80's we moved to Burlington, Iowa, it's in the southeastern corner of the state on the Mississippi River and yes, I learned how to spell Mississippi. 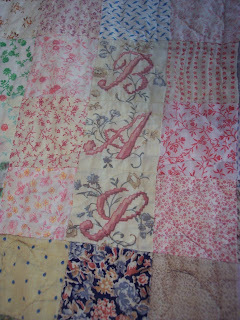 I had done some blocks, some pillows and then I saw in the paper a class being hosted by the local quilt group. I remember it being expensive and how I agonized over it for days. but, finally signed up. The teacher was "Liz Porter" at the time she worked for one of the magazines, Better Homes maybe, but it was a wonderful day and I learned so much. 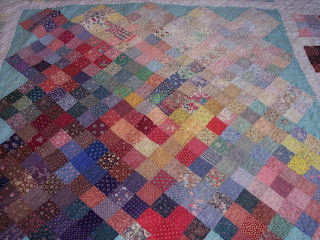 It was a color class which meant nothing to me at the time, looking at the quilt today I didn't get the whole idea. 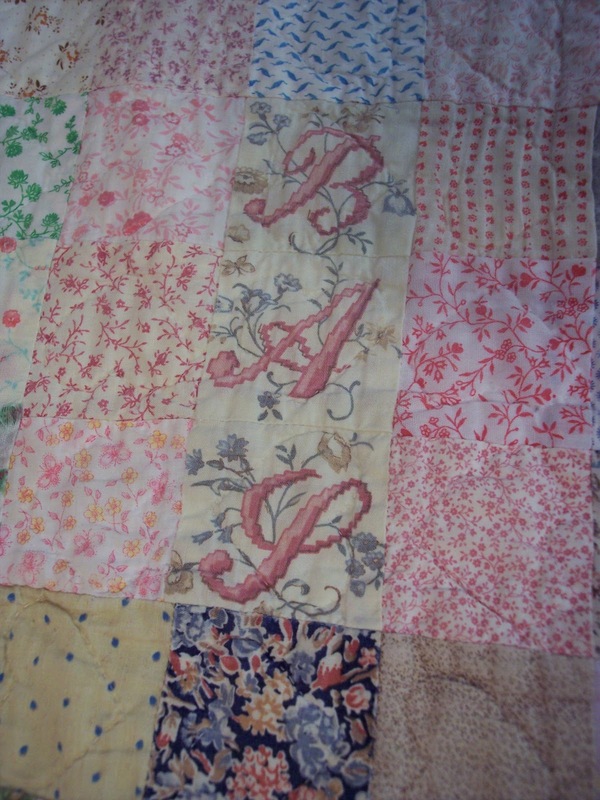 Liz brought letters to add to each quilt to identify, I used my initials. 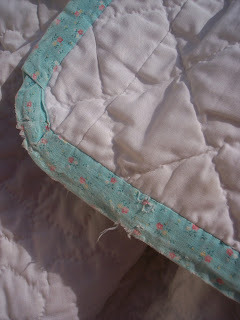 Hand quilting was so relaxing to me, I had no frame, just a dining room table, pinned it very well and quilted. I checked out library books on how to do everything. The quality of books we have now is crazy different from then. 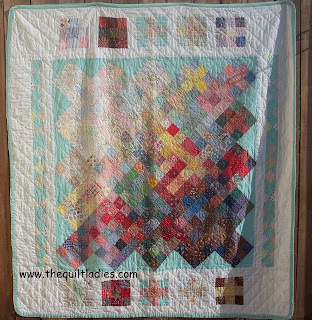 I was approached to join the quilt group after the class. I think I was a rarity in the group a "new" member. I remember being laughed at when they saw my round corners on the quilt. 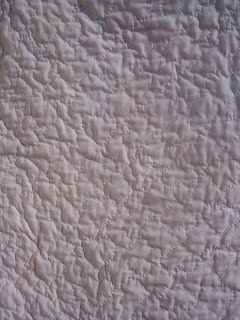 I love these corners.This is my quilt, I curl up under it daily, it's washed all the time and it's just over 32 years old. It's never looked better to me. 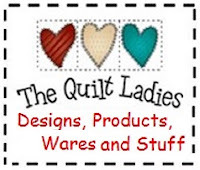 And, if you are in the group in Burlington, IA. I'd love to hear from you ! !